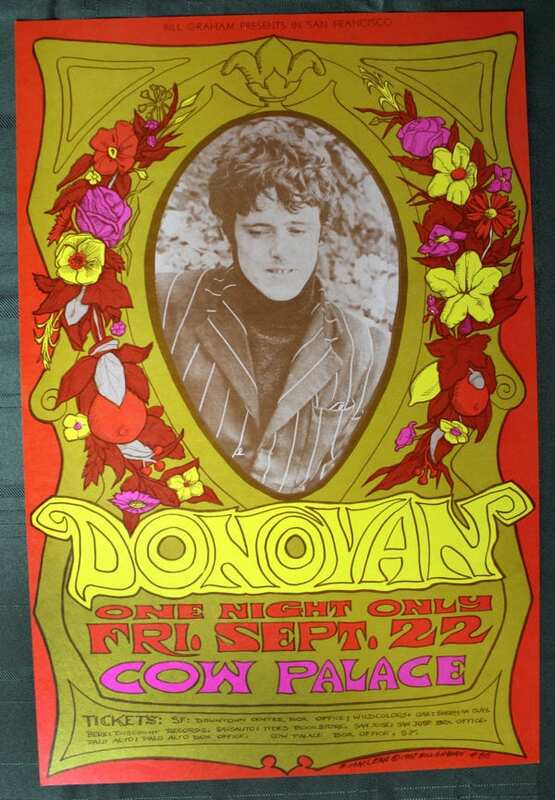 Donovan was at the height of his popularity from the mid to late-1960’s, and Bill Graham acknowledged this draw by abandoning his traditional concert venue for the much large Cow Palace. 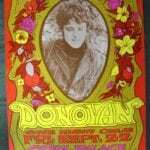 Bonnie MacLean liked Donovan’s music, too, and her portrait-frame poster sweetly announced this one-night-only appearance. Notes: BG-86. 1st printing. 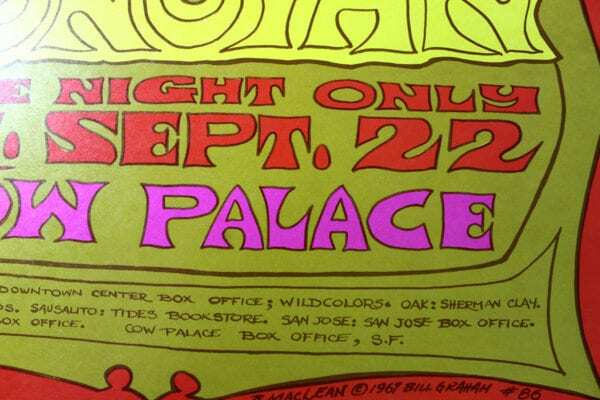 Concert at Cow Palace. Condition: Overall displays in Near Mint condition. 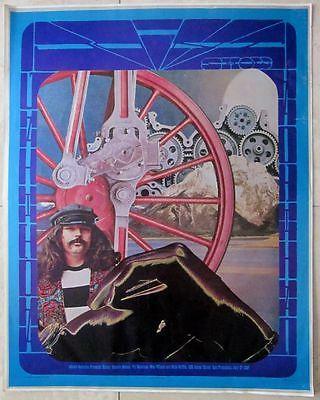 REDUCED 30$$ 1967 CONCERT POSTER - JOINT SHOW - GROOVY GEARS COLLAGE ARTWORK!! 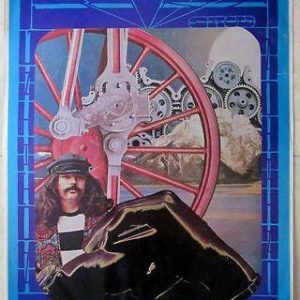 REDUCED 30$$ 1967 CONCERT POSTER – JOINT SHOW – GROOVY GEARS COLLAGE ARTWORK!! 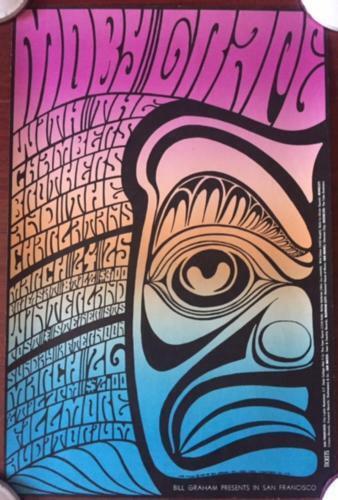 MOBY GRAPE - ORIGINAL 1967 CONCERT POSTER - PSYCHEDELIC ART AT FILLMORE! 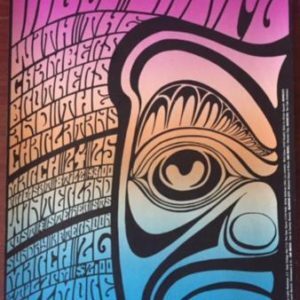 MOBY GRAPE – ORIGINAL 1967 CONCERT POSTER – PSYCHEDELIC ART AT FILLMORE! 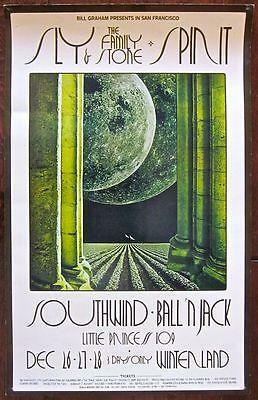 PINNACLE - ORIGINAL 1968 CONCERT POSTER - CRUMBS PSYCHEDELIC ART! 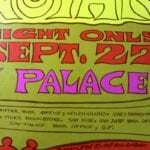 PINNACLE – ORIGINAL 1968 CONCERT POSTER – CRUMBS PSYCHEDELIC ART!